We offer website hosting for clients whose websites we have designed only. Sorry, we are not a dedicated hosting company, therefore we don’t host websites for just anyone who wants one. It is not necessary that a website design client host with our company, they are free to use their own hosting, but a lot of our clients choose to stick with our hosting for convenience and so they don’t have to bother with making sure they are purchasing hosting with all the requirements needed to run a modern website. Our website hosting packages start at around $14 per month and go up from there, depending on the amount of space, the functionality you need, the amount of time you are paying for service for at once and the number of pages that you require for your particular website. Recommended for smaller 1 to 5-page websites. Recommended for medium sized 5 to 10-page websites. Recommended for larger websites, websites with galleries, lots of photos and/or portfolios, and eCommerce websites (SSL server additional fee). We can create a “branded” email address (i.e. yourname@yourcompanyname.com) for you and forward any email coming to that address to your regular non-branded email account. However, none of the emails coming to this address will stay on the server where your website is hosted. They are simply being passed through to your regular email account and delivered there. *For a fully integrated email experience where you can both send and receive from a branded email address, we recommend you use G Suite by Google Cloud, Zoho Mail, Hover, FastMail or some similar email service for housing your emails. We can assist you with the setup of a G Suite account if needed. Though they are nominal, be aware that there are additional charges for these email services from the email providers themselves. For instance, G Suite offers both $5 and $10 per month plans. Many people have found that moving their email away from their actual website hosting was one of the better decisions they have made. It is also generally a safer practice to have your email stored separately from your website hosting. 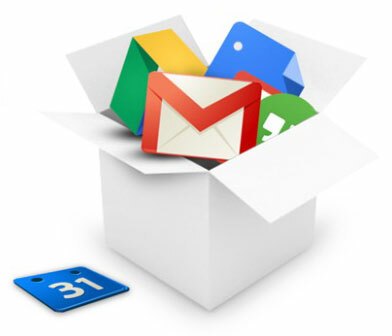 G Suite by Google, which is our recommended email service provider, offers a business email address and either 30 GB or 1 TB of online storage, depending on the plan you choose. With their service, you also get a host of other features such as integrated online calendars, video and voice calls, Google Docs, Spreadsheets, and Slides, and 24/7 phone and email support from them directly. To get 20% off G Suite for the first year, be sure to use promotion code M3HNHTCULN7J6VD when you sign up. Our hosting is fully compatible with WordPress and Joomla! websites, unlike some of the “big” guys (Wix, SquareSpace, Webs.com) who lock you into their proprietary website building software programs that make it impossible for you to ever move your website elsewhere in the future. Other, more well-known, hosts also try to “upsell” you on additional packages and services that you don’t need or won’t use. We don’t do that. If we recommend something, we give you a solid reason why we think it would be beneficial to you and explain it in detail. While we can do work with clients that are currently hosting their websites with other companies, it is preferable to switch you over to our servers for hosting. This gives us the ability to troubleshoot issues that may occur on your site in a timely fashion. Also, we have noticed that many 3rd party hosting companies will limit or hamper certain tools we use to build your site and give you the most optimal features for managing it. So, please consider us when picking a host. The entire project will run much smoother. You may also want to transfer your domain management to us, unless you know how to administer it properly (i.e. set up the correct DNS values) yourself. And, unlike other ad agencies and web design firms, we always list you as the owner of your domain, when we are managing it. So should you decide to move on to a different company in the future for any reason, you can access your domain settings with ease. Again, hosting with us is never required for us to build your website like some designers and developers make you do, but is recommended. However, if you are considering using a free or “budget” host for your website, please read this article about why free website hosting is a terribly bad idea and how it can hurt your business first. If you are using a free hosting service, we will not be able to service you. Sorry. These type of hosting accounts are fraught with too many problems. Our website hosting package pricing is modeled after the pricing of sites like SquareSpace, Weebly, Network Solutions, Webs.com and Wix. Hopefully, you are already aware that these services “free” offerings are usually a teaser price, that offer you very little space or ability to grow your site. Check out my article about them here. Their standard method of operation is to up-sell you to the more usable monthly hosting packages that are needed to drive a business website. The prices on those “upgrades” are very much in line with our standard pricing for hosting. The reason they are modeled after these services, and not the ultra low hosting pricing you may see from GoDaddy or similar hosts, is because we fully manage your site for you. You never have to get your hands dirty with the backend technical work that goes into setting up a website and installing the necessary software to make your site work, just like you wouldn’t have to do with a service like Wix or Weebly. Therefore pricing is a more apples-to-apples comparison, rather than apples-to-oranges. We manage many of my client’s domain names (if they transfer or purchase a domain through us), making sure that they never lose their coveted domain name, due to forgetting to pay their yearly renewal fee on it. It is very important that you stay on top of your domains and the yearly fees get paid. There are “domain predators” out there ready and waiting to pounce on forgotten renewals. They buy them up and then try to resell them back to the original owners at ridiculously inflated prices. You may want to check out my article on the importance of remembering to renew your domain name. Some people prefer to keep their domain registrar and hosting separate. You can purchase your domain independently, just be sure you remember all of your login information for managing your domain, so you can point the DNS servers to the right location for access your website live on the internet. If you forget this login info, or forget to renew it at then end of your term, we won’t be able to help you get it back. You will need to work directly with the registrar that you purchased it from in the first place.